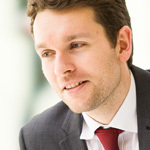 Michael is a Senior Associate who joined Bermans as a trainee solicitor in 2008. Following his degree in law and qualification in September 2010, he joined the Litigation and Dispute Resolution team based in the firm’s Liverpool office. Michael’s focus is commercial litigation and he provides specialist advice to clients in relation to a wide range of disputes, including shareholder and partnership matters, warranty and covenant claims, property litigation and complex, high-value contractual disputes. Michael prides himself on his approachable and positive attitude, and clients appreciate his ability to explain complex legal issues in simple, understandable terms. Always keen to keep matters firmly in a commercial focus, Michael works with clients to resolve disputes and meet objectives in the most cost-effective way possible. Bermans advise on all aspects of litigation, providing a practical approach to the resolution of disputes. Bermans Intellectual Property and Media Team deals with a comprehensive and eclectic range of issues, many of which involve developing technologies, media and platforms, and our specific expertise allows us to stay and keep our clients ahead of an ever-evolving technological landscape.